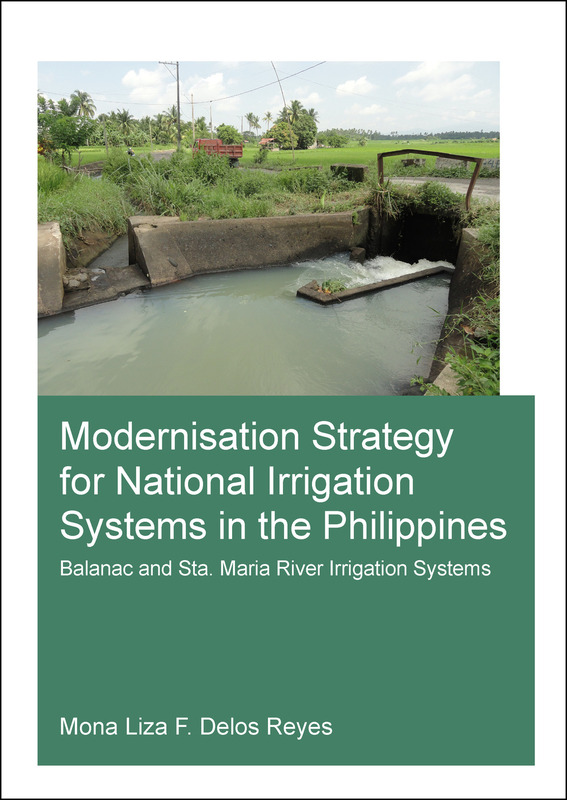 The book presents documentary evidence of the insufficiency of rehabilitation works to close the gap between the irrigation service and actual area irrigated of publicly funded national irrigation systems in the Philippines. It outlines a methodology for formulating a modernisation plan for national irrigation systems with focus on the mostly ungauged, medium to small canal irrigation systems. The proposed methodology adaptively modified some known modernisation concepts and techniques and integrated them in a more holistic framework in the context of changing weather patterns and river flow regimes. It includes in-depth review of rehabilitation works; system diagnosis; revalidation of design assumptions on percolation and water supply; characterisation of system management, irrigation service and demand; and drawing up of options and a vision for the modernised irrigation systems. Central to the proposed modernisation strategy is the logical coherence among the design of physical structures, system operation and water supply so that improvements of irrigation service are possible. The book discusses the development of the proposed methodology and demonstrates its utility in two case study irrigation systems.